Your Personal Strategy Session is actually two-fold and explores your personal Feng Shui and Chinese astrology impacts for 2019. What is your energy for the upcoming nine (fire) Feng Shui year? How does its earth dog Chinese astrology affect you? What are your trends for wealth, career, relationships, and health? 1) You’ll learn if opportunities are surfacing, and have time to plan for and Maximize them. 2) You’ll also learn what personal risks might be lurking, and how to Minimize them.Change is constant. We’re all in transition; albeit health, finances, career, age, school, relationships, self-development, relocation, children coming/going, or other life changes. What does this year have in store for you? 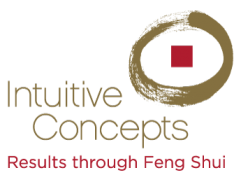 Purchase your customized Feng Shui Yearly Strategy Session and find out! We will call you to set up a convenient time for your session. Allow 26 minutes for the phone call. Have paper and pen handy to take notes. Cancellations are non-refundable if made less than 48 hours of appointment time. Another person reported that she got more out of her session than six months of professional appointments!